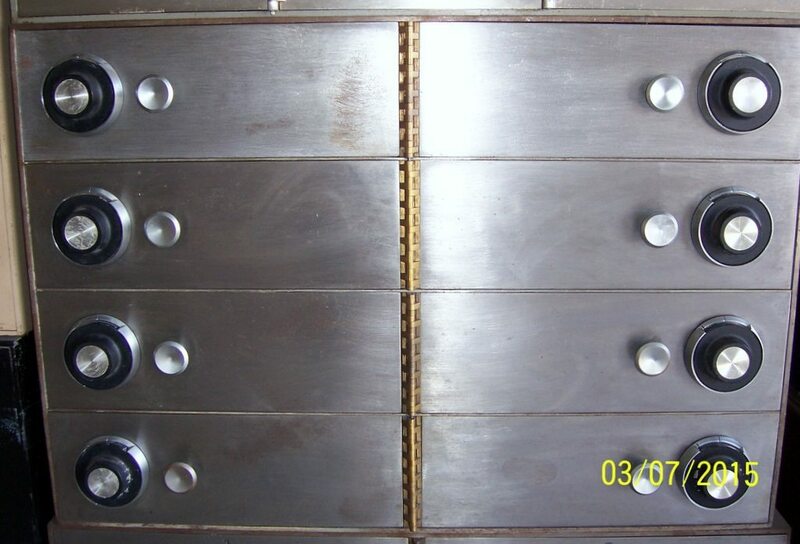 Awesome teller or Register safes. Each person can have there own combo.. If you own a business and you want secure lockers for each employee to have, this locker safe will do the trick. 8 lockers each with their own combination, every employee can have security and peace of mind. Ext. Dimensions: overall 22.25" x 32.75" x 25.5"
Int. Dimensions: each unit 5.5" x 16" x 23"